Chronicling CQ through 18 years of broadcasting! It was June of 1998 when, for Jonathan and I, the opportunity of a lifetime presented itself. We were great friends before this and our strongest bond of friendship, our strongest common ground was our Christian faith. Even though we came to that faith by entirely opposite roads we were both convicted by it to try and spread the good news of the Gospel some way, somehow… Once the particular door of opportunity to do a live radio broadcast opened up in New London, CT (as a result of Jonathan’s efforts and frankly, very much beyond my own thought process) we walked through it and never looked back. 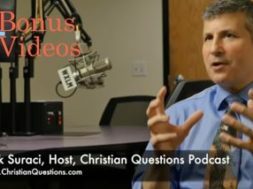 For 18 years we have, by God’s grac,e been at it week after week, talking about the Bible from a hundred different perspectives and focusing on digging into Scripture to try and find the true, clear, God-intentioned meaning it contains. We have gone through a myriad of changes, been on radio stations as far south as Florida and as far west as St. Louis and have grown in ways we never imagined. Now as we open the door to podcasting live Monday evenings from 8-10pm Eastern, we are saying goodbye to our local radio broadcasts. For us, this is bittersweet – and it is that bitter sweetness that provoked us to do this particular and unique program on our final Sunday morning time slot. Please check out this very personal program. 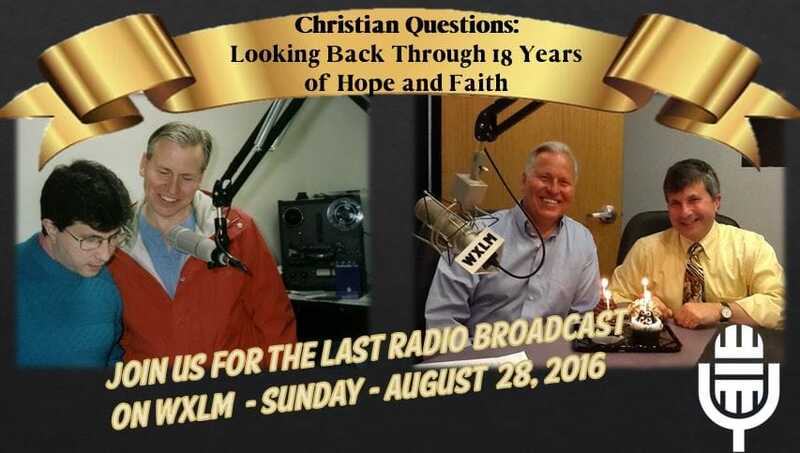 It is our August 28, 2016 broadcast entitled, “Christian Questions: Looking Back Through 18 Years of Hope and Faith.” Share in the journey, the changes and the events that shaped Christian Questions and forever changed Jonathan and me as well! previous Has God Lost Control of Our World? next What Do YOU Have Faith In? How Can We Show Our Thanks?